It's already February and 2016 is racing away! We do hope the new year has got off to a great start for you, and we are looking forward to keeping you informed of all the updates we will be completing during the year. Please do remember to forward this email to other colleagues who will find the information beneficial. They can also email us from the link above to have their direct email address added to our Newsletters. We're also very aware here at Flow that 'refresher' webinars can be very useful to remind you of services/functions within the system that you may not have used for a while, or indeed ever! To this end we are planning a series of FREE webinars to help you get the most out of your subscription. These are available for any members of your staff or yourself. If there are other topics you would like to see addressed, do email us and we will do our best to facilitate these. When adding new personnel or contacts it is common to need to add another contact or employee with the same basic work address as an existing contact and it’s much quicker not to have to enter the work address again manually. Did you know there’s a way to do this? 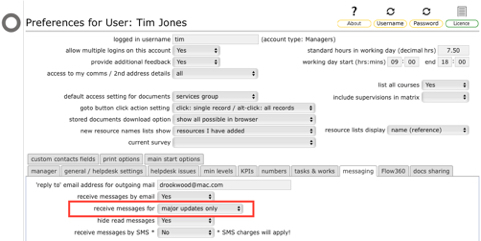 When on the contact record for an existing contact, hold down the ALT key when you click the New button and the popup form will be pre-populated with the existing contact’s work address details ready for you to simply add the new name! This also works when adding new employees from the employees tab - try it! 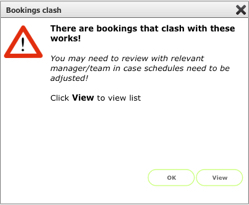 New processes now ensure you receive warnings if you attempt to schedule works for a location that has an existing booking. You can still proceed past the warning but if you do, both the works order record and the relevant booking record will display reminder alerts when viewed. Similary, if you attempt to book a location or resource that already has scheduled works for the dates and times requested, you will see a warning. 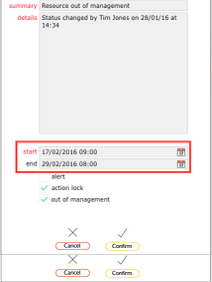 Note also that the alert message has a View button which allows you quickly review the works or bookings that clash with the object you are viewing. 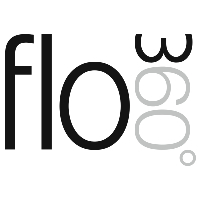 This is a major enhancement to the integration possible with Flow360 - management of maintenance and bookings are rarely handled by the same teams and it can prove very difficult ensuring that clashes do not occur. No longer! You will find a new user level preference that allows you to control the volume of update messages that you receive. Normally a progress update message is delivered whenever the status of an issue changes or when the priority or target dates are changed. If you prefer to only recevie notifications of major changes to status, setting this new option to ‘major updates only’ allows you opt out of update notifications triggered by changes to priority or target date. Look out for new report options at area and item levels that include full custom data sub-reports at all levels. This is especially handy when you need report outputs detailing custom data information. You can also now produce report outputs from the quick find search results that include custom data sub-reports for all listed resources. The results of any quick find from the main start screen will now also include the ‘reference’ field for the object in brackets after the name. This is especially useful where the text search might result in a number of objects all with the same name but with different reference codes or tags. It is sometimes necessary to take an object or even a building out of management for a period of time or to apply an action lock to prevent changes being made. You can now plan these events in advance by future dating the start date for an ‘out of management’ period. Copyright © 2016 Flow360 Limited, All rights reserved.